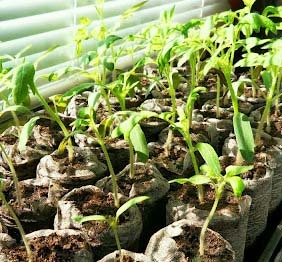 Rick's Roots - A Gardening Blog: Seed Starting Schedule - Start Planning Now! You'll be planting, rain or shine? Technically April 27 is a Friday .. but since last frost is April 20th I may plant anytime that week or the weekend, who knows! I won't likely put seedlings out if rain is forecast except for some of the sturdier seedlings - like the peppers last year after 10 weeks were quite solid and could easily handle a rainfall.